Texas, as everybody knows, is known for doing things a little bigger than most. Even though Alaska is waaaaay bigger and you don’t see that state beating its chest. Anyway, it shouldn’t come as a surprise that Texas enjoys big meals, big hats and big vehicles. 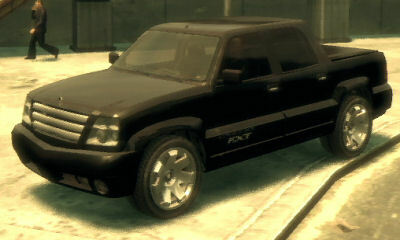 In fact, a new study reveals the late Cadillac Escalade EXT is the most popular vehicle in the Lone Star state. Really. Conducted through a partnership between Popular Mechanics and representatives from HIS Automotive, the study aimed to figure out which vehicles were the most popular in each state. Lo and behold, the data revealed Texans prefer Cadillac’s now-defunct, classed-up Chevrolet Avalanche to any other vehicle; it sold at 343 percent of the national average, according to the study. But we will raise our hands and point out that while that percentage is impressive, the overall sales numbers could never hold a candle to more traditional trucks like the Chevrolet Silverado, GMC Sierra, or even the Texas-built Ford F-150. However, Texas isn’t the only state that favors the Escalade EXT. The other state? New York. Which, ironically, is now Cadillac’s home. Click over to Popular Mechanics to see the full map of the unofficial state cars of the United States, then let us how you feel about your state ride below. I for one would not be averse to seeing the Cadillac Escalade EXT return. By way of another example, look at Honda: Its Ridgeline pickup uses a minivan chassis and is not entirely dissimilar in concept to the EXT; and yet, for most of its model life, the Ridgeline has been running on fumes, with pitiful sales. But, even with all that, lo and behold, Honda plans to introduce a redesigned Ridgeline for 2017. And, if the Honda Ridgeline–hardly a popular model, nor a thing of beauty–can have another life, surely the gorgeous Escalade EXT can do as well. And, for that matter, so can the Chevy Avalanche. So how about it, GM? I’m still driving my 2010 Chevy Avalanche waiting for GM to bring it back. Love the concept and have found nothing to compare – Honda is not even close. Read somewhere that Cadillac was going to bring the EXT back – STILL WAITING. Just enough truck for my needs, tows well, great level of luxury. COME ON GM – listen to your customers – we are waiting! I thought about getting one of these but they are extremely expensive even with 100k miles !!!! F-150 is not built in Texas, built in Dearborn and Kansas City. A lot of people didn’t like that slope on the Ridgeline so Honda went with a more traditional truck look. I’m pretty sure what’s under those plastics is for structural integrity, but if GM can figure out a way to remove them properly, they’d look a lot “cleaner” and I think they’d sell a lot better. I’ve seen them with no plastics on a video game and IMO they don’t look bad at all. Hell no. U bugging. That’s so f’ing Ugly. As long as the auto manufacturers bring out Excellent, Top notch cars they will sell. I have a escalade Ext. And can’t wait for a new one to come out.